The global production and use of plastics are expected to increase fourfold to 2050 and if the material is poorly managed at the end-of-life, this will potentially result in significantly increased impacts on the environment, especially through marine plastic litter. Based on the above report, on 23 January 2019, Peter Börkey, of the OECD Environment Directorate, addressed this pressing issue and the policy responses that are required to tackle it. 09/06/2018 - Remarks by Angel Gurría, OECD Secretary-General at the Charlevoix G7 Leaders’ Summit: G7 and Outreach Leaders Working Session. Read the full speech. 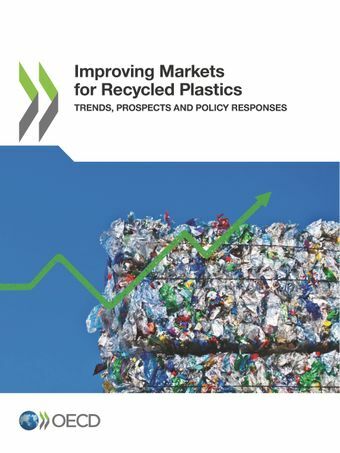 24/05/2018 - Plastic recycling is failing to reach its full potential as low recovery rates of plastic waste, poor quality of recycled plastic and a lack of price incentives are holding back secondary plastic markets, according to a new OECD report. Given rising public concern over plastic pollution, governments should act urgently to encourage more and better recycling, it says. Read the full press release.